Bitcoin reached a small but significant milestone this week. It has nothing to do with the price, there isn’t a new update to the protocol, and a bitcoin startup didn’t break the record for venture capital funding. Notably, reddit’s r/Jobs4Bitcoin subreddit reached 5,000 subscribers. Hardly earth-shattering news, but this modest achievement is an indicator of a broadening pool of jobs that not only pay in bitcoin, but are within the bitcoin industry itself. Most of these jobs, according to statistics derived from LinkedIn, are in the US. Despite the hype about regulation in the US killing bitcoin innovation, America is indisputably the preeminent breeding ground for tech entrepreneurship, and that applies as much to digital currencies as it does to any other technology sector. A Google search of LinkedIn profiles associated with bitcoin, which is arguably a close approximation to the number of professionals active in the bitcoin sector, returns 7,560 results. Taking a sample of around 500 shows that around 50% of those professionals are in the US. The UK and Canada are a distant 2nd and 3rd at 9% and 8% respectively. It is worth noting that this method of measuring bitcoin jobs is obviously skewed to users of LinkedIn and will exclude places that use non-Latin alphabets, such as China. 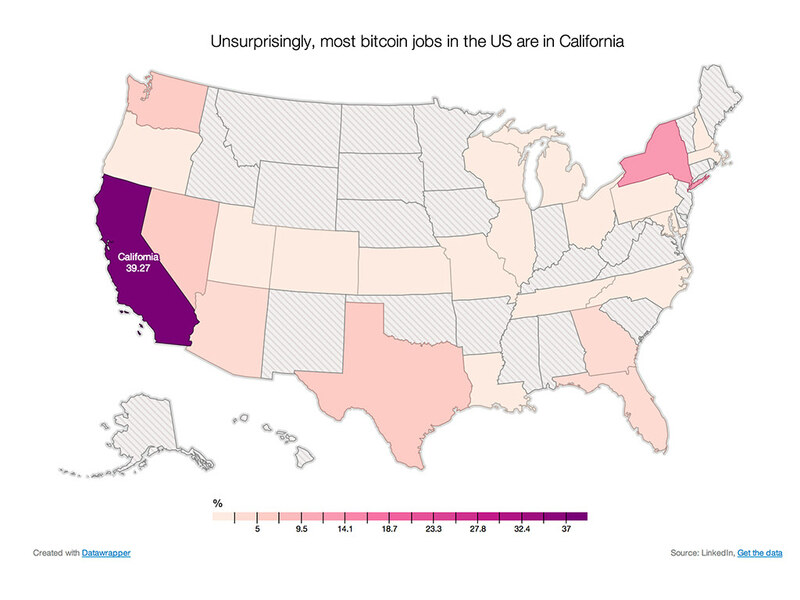 Within the US itself, California – or, more specifically, Silicon Valley – would be the obvious location of the majority of these bitcoin professionals. And the data bears that out: 40% of those bitcoin professionals from LinkedIn are in California. New York is in second place and Texas is in third. But as well as the people who work full-time on bitcoin or bitcoin-related businesses, bitcoin is now being used as a payment option for casual work contracted out to strangers online. As bitcoin is still a fairly niche currency in terms of the types of people who use it, this work tends to be programming. One site that exclusively lists jobs that pay in digital currency is Coinality. Since its launch last year, almost 1,000 jobs have been listed there. Judging by the 200+ jobs currently listed on Coinality, around half are freelance positions but sizeable proportion (29%) are full-time jobs. 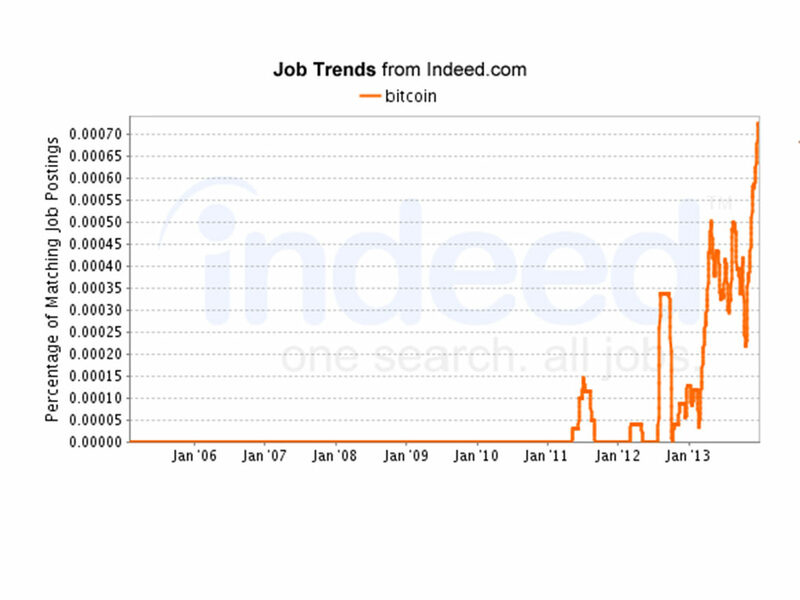 The general trend of the increasing number of jobs that pay in bitcoin can be seen in the above graph from indeed.com. The volume is still minuscule when compared to the whole, but it is increasing quickly. 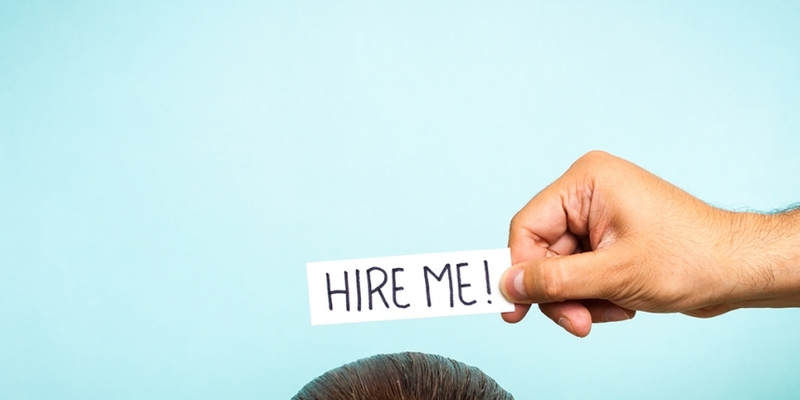 CoinDesk Jobs – Find a bitcoin job or list a role at your bitcoin startup.